DRM Free Video Converter is a powerful yet easy-to-use application that can convert DRM and other audio video even HD video to any format. It supports audio to audio, video to video, and video to audio conversion. It directly converts media stream at the bottom of the operating system, so the output files keep high quality and the conversion speed is fast. Convert DRM and other audio/video to any format. ...... files between all popular formats. 2. HD video converter Convert many popular High Definition video. 1. Remove DRM from media such as DRM WMA, WMV, M4A, ASF, so that you can convert DRM protected music without any restrictions. 2. 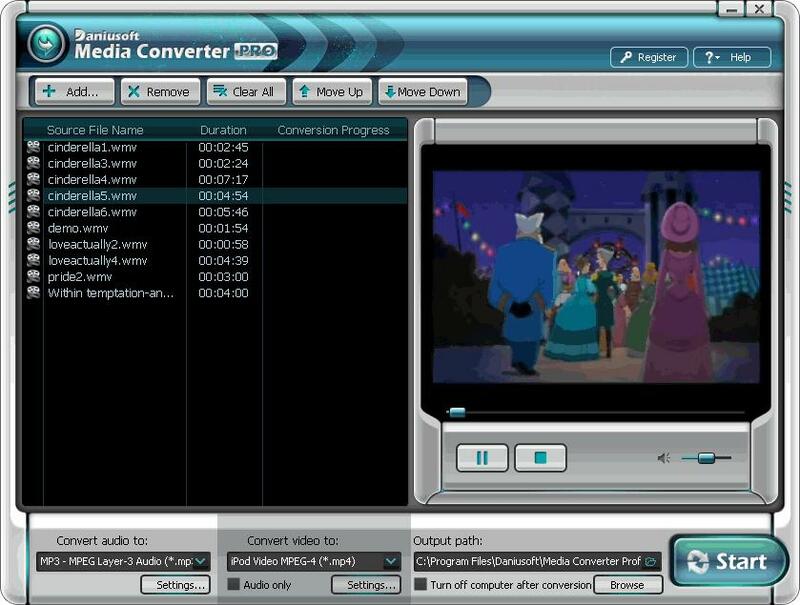 Totally support video conversion, you can convert all popular video formats: MP4, MPG, MPEG, 3GP, RM, RMVB, DAT, MOV, FLV, VOB, MP3, WAV, M4A, WMA. 3. Support convert high-definition video:M2TS, TP, TRP, TS, AVI. 4. Support video to audio conversion, it is now easy to listen to music video on different players such as iPod, PSP, Zune, Creative Zen, Archos. 5. Optimized DRM conversion engine, fast and efficient. 6. Support batch mode - convert multiple files all at once. 7. Easy-to-use and self-explaining user interface. Qweas is providing links to DRM Free Video Converter 2.0 as a courtesy, and makes no representations regarding DRM Free Video Converter or any other applications or any information related thereto. Any questions, complaints or claims regarding this application DRM Free Video Converter 2.0 must be directed to the appropriate software vendor. You may click the publisher link of DRM Free Video Converter on the top of this page to get more details about the vendor.